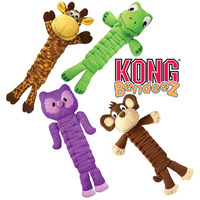 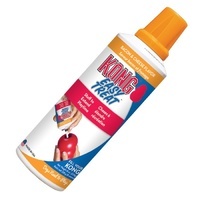 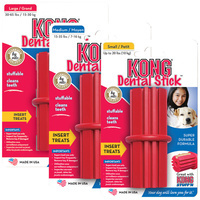 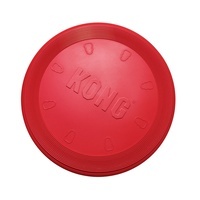 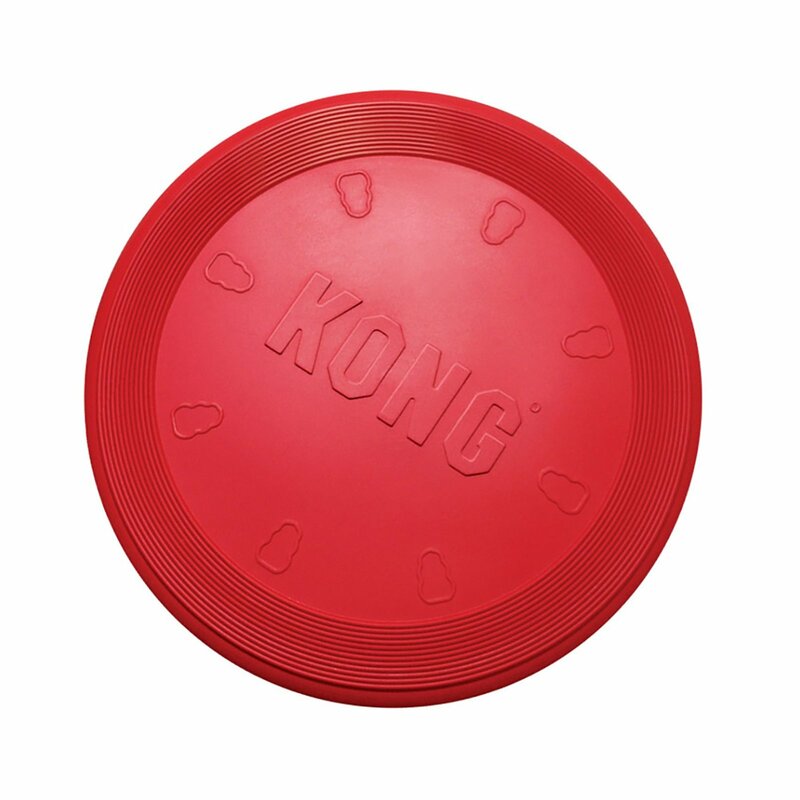 Kong makes exercise fun for you and your dog! 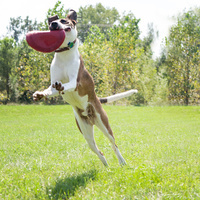 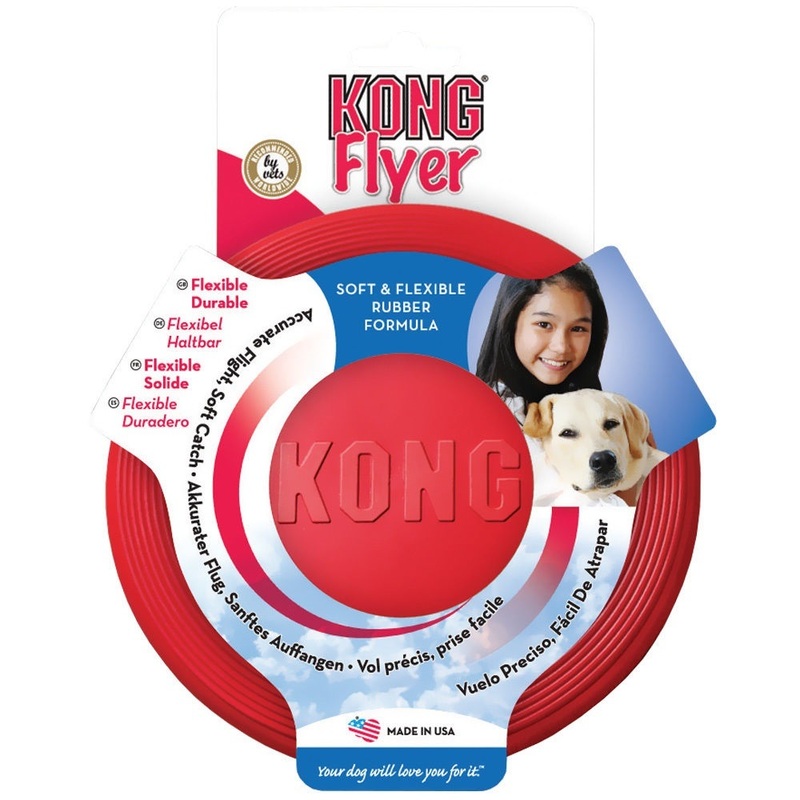 The Kong Flyer flies straight and is soft to catch, making it perfect for a game of fetch and catch that won't hurt your pup's mouth or gums. 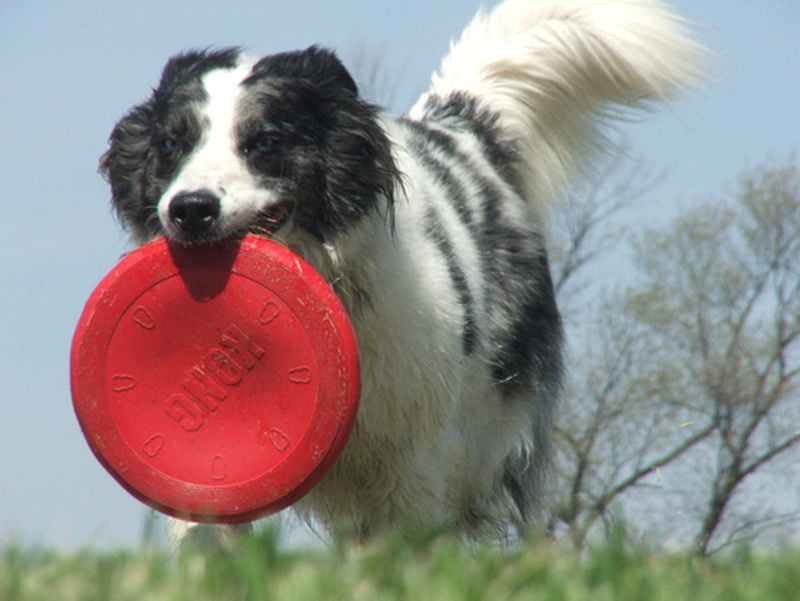 Whether you are in your own backyard or at a park the KONG Flyer will keep you and your pup entertained for hours. 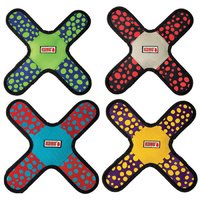 This is the go to toy for all the trips to the park, beach and bushwalks. 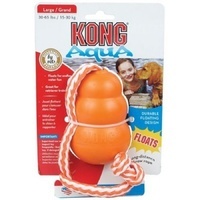 We have a Golden who loves to fetch everything, but this is by far his favourite. 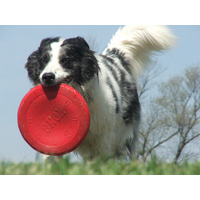 We've had to buy a couple already though - lost one over a fence by the park and another got stuck up a tree... We might try the black extreme one next time though - because even though it's pretty strong rubber - he likes to hold onto and chew it in the car, it's held up really well and does not have holes or anything in it, but we can see where he has had a chew so it's probably worth trying out the black one once this one gets lost too!